We’re the community of Madison churches that strive to make an impact in changing our community for the better. Through your generous gifts, we are able to offer food and clothing to those in our community that are in need. Food Distribution - CCM is a screening and distribution point for Second Harvest Food Bank of Middle TN. Food deliveries are received from Second Harvest, then CCM then prepares and distributes emergency food boxes to families in need. Clothing Distribution - Families qualifying for a food box can select items of clothing for each family member for a nominal fee. Disaster Assistance - Upon referral from a local church or other agency, food, clothing and small household items are distributed to families who have experienced a flood, fire or other disaster. CCM also distributes school supplies when possible. "In 2017, CCM distributed 5,349, emergency food boxes that fed 13,208 Davidson County residents." CCM primarily serves residents of Madison, but anyone living in Davidson county is eligible. 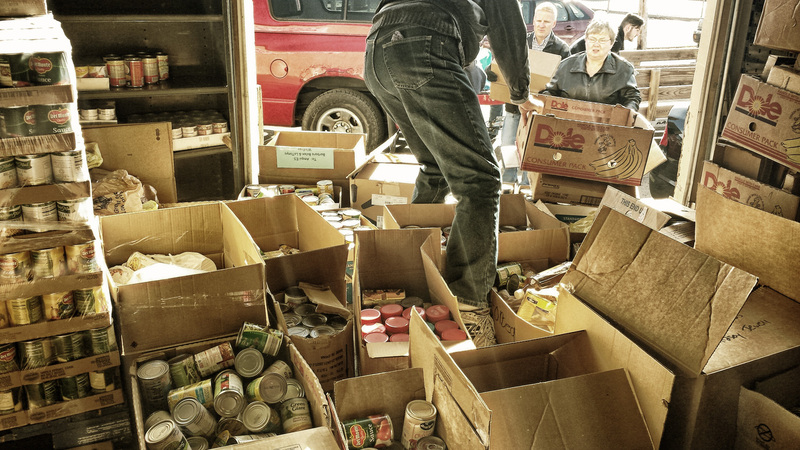 Applicants for food box assistance are eligible for help 3 times in 6 months. Applicants are interviewed and screened by CCM staff. A Second Harvest application is completed and a CCM history is placed on file. Usually once a week there is a representative from the Dept of Human Services in our office to assist those needing to apply for the SNAP program. Please contact us for further information. Spread the word! The more people who find out about the good work being done here, the more support it will get.